I know that God is everywhere. When I have done something wrong, I know I cannot hide from him, even though I feel like trying. No matter where I go, no matter how I try to avoid what I did, God is still there, and he knows the truth. But I would like God to be present with me in a soothing way, not in a condemning way. I want his presence in a way that goes beyond his just being there. I want it to be something special, something good. Jesus tells me how God achieves this special, soothing presence. Jesus invites me to come together with other people in his name. What does it mean to come together in the name of Jesus? With these words recorded in the Gospel of Matthew, Jesus is talking about church! Where the gospel is proclaimed in Word and sacrament, Jesus is present in a special way. That way is especially helpful when I have done something wrong, because the gospel tells me that Jesus has taken the punishment for my sin, and I have forgiveness through faith in him. That way of Jesus being present is especially helpful when I am feeling lonely, because the gospel tells me that God will never leave me or forsake me. Jesus cried out on the cross, “My God, my God, why have you forsaken me?” Because Jesus was doing that for me, God promises that he will never forsake me like that. Instead he will be with me my entire life, all the way to heaven. I may not always feel like gathering with other people for worship in church, but I know it’s worthwhile, because Jesus promises his special presence there, and I do want to be with Jesus. I love your kingdom, Lord, the place of your abode, the Church our blest Redeemer saved with his own precious blood. Amen. Things are not always as they seem. An old, beat-up pair of shoes is the most comfortable pair in the closet. A restaurant that looks like a dive serves amazing food. When the long-awaited Savior finally arrived, many who saw him weren’t impressed. He was from a poor family. He was too ordinary. Sure, there had been miracles. But if he was the promised Savior, when was he going to establish his reign? When was he going to usher in a new golden age for the people of Israel? In today’s reading, some religious leaders called Pharisees asked Jesus when the kingdom of God would come. Things are still not as they seem. When we read a devotion like this one, when we bow our heads and pray, when we go to church and worship, it all looks and feels so ordinary. We might wonder if it’s worth our time and effort to commit ourselves to such things. We might be tempted to focus on other things instead. Let Jesus’ words in today’s reading put any doubts to rest. Where the words of Jesus are heard and believed, there the kingdom of God is in your midst. Dear Jesus, you have paid for all my sins. Keep me close to your Word. Reign as king in my heart. Amen. PERSONAL PRAYER BEFORE WORSHIP O Lord Jesus Christ, preserve your family of believers with your never-failing mercy. Help us avoid whatever is wicked and harmful. Help us grow in your Word, obey your will, and with the Spirit’s help, fight the good fight of faith. Through your Word and Spirit, forgive our sins, strengthen our faith, give joy to our hearts, and meaning to our lives. Bless our worship. In Jesus’ name. Amen. GOD’S WORD FOR TODAY Jesus Shows the Cause and Measure of Evil – The psalmist wrote, “Oh, how I love your law!” (Psalm 119:97). The three scripture readings give us good reasons to love God’s law. That law shows us how to thank the God who redeemed us from sin, death, and the devil. It guides us in every situation. 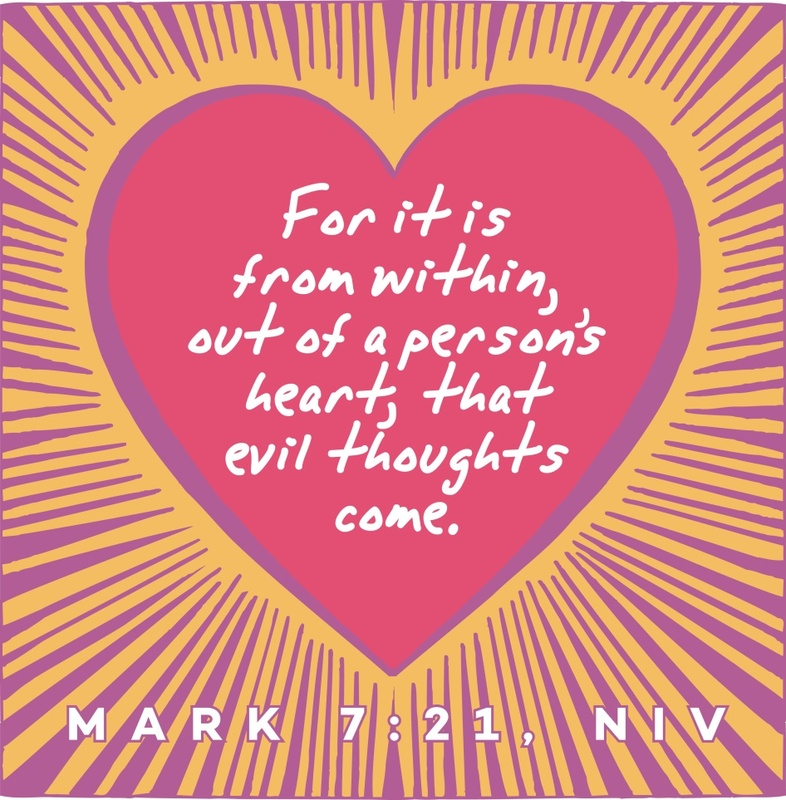 It identifies the beginning of evil—our own hearts. Observe them carefully, for this will show your wisdom and understanding to the nations, who will hear about all these decrees and say, “Surely this great nation is a wise and understanding people.” What other nation is so great as to have their gods near them the way the LORD our God is near us whenever we pray to him? And what other nation is so great as to have such righteous decrees and laws as this body of laws I am setting before you today? At Emmanuel & St. John’s Ev. Lutheran Churches we practice closed Communion. If you are a guest at worship today and interested in receiving the Lord’s Supper, please speak with the pastor prior to the service. 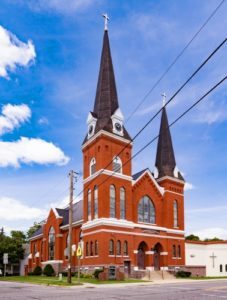 VOLUNTEERS WANTED AT EMMANUEL Emmanuel Lutheran Church is in recruiting mode for 2 (or more) volunteers to assist with the following positions. All expenses are reimbursed by the Church. 1) Sunday School Teacher : This individual will help further the Christian up-bringing of parish and non-parish children between the ages of 6 and 10, by managing the weekly Sunday School sessions held in the Emmanuel Parish Hall, during the sermon segment of the service. 2) Sun Shine Position : Thank you, Sue Tutaj, for agreeing to serve. Based on weekly emails from Pastor Zietlow, this individual will manage the mailing of get-well, sympathy cards, etc. to church members and their families. VOLUNTEERS NEEDED! Do you love to sing? Do you enjoy music? Do you love to praise the Lord? Are you looking for an excuse to get out of the house? Would you like to come and hang out with a bunch of great people? 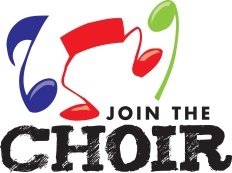 If you answered yes to any of these questions, please come and give choir a try. We meet on Monday nights from 6:30 – 7:30 p.m. Our first practice for the fall season will be Sept . 10. We would love to see you. If you have any questions, please contact Karin Stellick, 920-342-3689. CARDS The cards have been restocked! They are located in the lower level of St. John’s. Come check them out and see what’s new! ALTAR FLOWERS The flowers on the altar last Sunday were placed by Kathy North in memory of her husband Don. Friday, August 24th, would have been their 50th wedding anniversary. God’s service to his people is ever-faithful! He served the children of Israel through his almighty Word as he promised to give them a home of their own in Canaan. He also served them through the work of his almighty hand as their faith-filled hope of a promised home was finally fulfilled. Buoyed by a bold faith in God’s promises, Joshua passionately pledged to serve the Lord. Such a desire to selflessly serve the Lord does not come naturally. The human heart instinctively seeks to serve the sinful self. Earthly idols abound all around us in the riches and pleasures that appear so attractive. The devil seduces the human heart and enslaves it into serving what is appealing to the eye rather than what is appealing to God. How disquieting it is when we repentantly recognize the countless occasions we have not lived up to the perfect service standards that God deserves and demands! The Lord heals the haughty heart as he holds out his helping hand of grace to the helpless sinner. Just as he served Joshua and the Israelites through his faithful promises, he speaks to us of his promise to revive the brokenhearted with his free gift of forgiveness. In absolute selfless service to sinners, God sent his dearly loved Son, Jesus, who came to serve and give his life as a ransom for many. Jesus teaches us that real freedom is found in serving him with all our heart. Like the lifeless idols of Joshua’s day, the modern gods that lead the heart to lust after them are helpless to liberate the sinner. They eventually lead to disappointment and eternal destruction. Only in Jesus does the empty heart find everlasting joy and peace. Our Servant-Savior once said, “If the Son sets you free, you will be free indeed” (John 8:36). Through God’s life-giving Word he grants us freedom to serve him gladly and willingly. Out of heart-felt thanks for our Savior’s service to us, we serve Jesus by sharing the Lord’s promises with our families. Not only did Joshua commit himself to serving the Lord, he committed his household to the Lord’s service too. God’s work in the hearts of sinners begins as babies are brought to be baptized. God’s service continues in the hearts of his children as parents and guardians share the life-giving Word of God through family devotions. The Lord kept his promise to give the Israelites a home in Canaan. The Lord has graciously given us the infinitely greater promise of a home with him in heaven. Inspired by his promise of life eternal, we live to serve him with all our heart! Almighty Lord, reign unrivaled in my heart through your powerful Word so that I selflessly and ceaselessly serve you. Amen. “A thing of beauty is a joy forever.” The English poet John Keats began one of his poems with that observation. You have perhaps observed the same thing—in a beautiful painting, home, or sunset. In Ephesians chapter 5, God paints a beautiful picture for us—the relationship between Jesus Christ and the Church. Jesus loves and serves the Church. He sacrifices himself for her. He leads the Church. The Church loves, serves, respects, and follows Jesus. It’s a beautiful picture of a beautiful relationship. God tells husbands and wives to imitate this beautiful relationship. The husband should love, serve, lead, and sacrifice for his wife. The wife should love, serve, and respect her husband. A marriage where that happens is a beautiful marriage. Marriage often doesn’t look beautiful. Why? Marriage always joins together two sinners. Sinners, selfish by nature, find all sorts of excuses to not love and serve their spouse. Things like pride, self-centeredness, laziness, and anger wedge their way into marriages and between spouses. Too often sin multiplies as the offended person retaliates and becomes an offender too. When sin gets unleashed inside a marriage, it’s not a pretty picture. Whether it’s your marriage or someone else’s marriage, that’s ugly. If sinners like us can see that as ugly, how do you think our holy God sees it? God’s Word tells us that Christ loved the Church. Jesus “gave himself up for her [for the Church].” Jesus lived a perfect life in our place and died on the cross to cancel the debt of all our ugly sins. In baptism, the “washing with water through the Word,” Jesus washes all that ugly sin off. Jesus makes sinners holy and blameless. We are now beautiful in God’s eyes. Are you in a marriage that’s so infused with sin that it feels hopeless? Do you doubt that marriage can be beautiful? Start painting. I have children who are better artists than I am. How did they achieve this? They had great teachers who have shown and modeled good technique for them. They have practiced, a lot. When a picture didn’t turn out how they wanted, they tried again and again. Are you married? See the beautiful picture that Jesus and the Church paint. You are forgiven and loved. You have a perfect example to follow. Start painting. Love and serve. Repent and forgive. Love and serve some more. By God’s grace, as they reflect the beautiful picture of Christ and his Church, husbands and wives honor God and paint their marriage beautiful. Dear Jesus, sin stains and corrupts marriage. Forgive the sins of husbands and wives. Forgive all my sins. Strengthen and empower husbands and wives to love and serve each other and you. Amen. A woman was expecting twin girls. During the pregnancy it was discovered that their bodies were conjoined in the womb. They were joined at the chest, stomach, and hips, and they shared their liver and intestines. This happens roughly once in every 200,000 births. There’s only a 35 percent chance that both babies in this situation will survive even a single day after they’re born. The mother eventually went in for a c-section. The doctors worked on the twins for 5 hours. One died. The other survived but was in critical condition. Often, from our limited perspective in life, we don’t have clear answers to these heartfelt questions. We often don’t know why God allows some babies to die so young but allows thousands of other births to happen without any complications or problems. But we do know that God understands how difficult moments like these are. God also knows how it feels to be crammed in a womb with very little chance that he’s going to live; not because he was conjoined with a twin, but because he chose to conjoin himself with a world of sin. He knew that countless men and women would walk away from him, doubt and question him, when all he was guilty of was keeping his Word that nothing would stop him from saving us. Do we understand how hard that was for him, to be born knowing that his flesh would one day be torn and bloodied? We don’t need to; we only need to see that it happened. When we look at Jesus and his cross, we don’t see or understand everything, but what we do see at the cross is that God really will stand by our side through anything. He really can make the best kind of good come from this world’s greatest pain, and that not even our worst moments of doubt, weakness, confusion, and sin can keep us from one day seeing and understanding exactly what God has prepared for us in heaven. Dear Father in heaven, thank you for giving us a place to go in our pain. Fix our eyes on the cross of our Savior, Jesus so that we never fail to see the eternal love God has for us all. Amen. How do you view Jesus? More books have been written about Jesus Christ than about any other individual in history. One website estimates the number in the tens of thousands. As one might imagine, these books contain just about every opinion imaginable. Some view Jesus as God in human flesh. Others view him as a great human teacher. And some even claim that Jesus never existed at all. What about you? What do YOU believe about Jesus? That was the question Jesus asked his closest followers one day. There were all kinds of rumors floating around about this amazing Rabbi named Jesus. Although there were differences of opinion, everyone agreed that there was nothing ordinary about him. In fact, Jesus’ words and miracles were so amazing that many people thought he must be one of the prophets of old who had come back to life. Peter, one of the men who knew Jesus best, understood why Jesus was so amazing. Jesus was none other than God himself who came to earth in human flesh. Jesus was the One God had been promising since Adam and Eve had first rebelled against him. Jesus was the One who would repair the relationship between God and his rebellious children. Jesus was the Christ, the Son of the living God. He still is. Jesus is not simply a great human teacher. He is not just an interesting historical figure. He is not one religious leader among many. And he most certainly exists. He is your God. He is your Savior. He is your hope for a life beyond this one and your hope for a life of meaning and purpose here and now. Finally, it doesn’t really matter what a website says about Jesus. What matters is what YOU say about Jesus. Who do you say he is? Say he is your Lord and life and love…because he is. Lord Jesus, thank you for revealing yourself to me as my God and my Savior from sin. May this belief be reflected in everything I do and say. Amen. Oh, the depth of the riches of the wisdom and knowledge of God! How unsearchable his judgments, and his paths beyond tracing out! Who has known the mind of the Lord? Or who has been his counselor? Who has ever given to God, that God should repay him? For from him and through him and to him are all things. To him be the glory forever! Amen. Like so many other passages in Scripture, these words from Romans remind us that God knows infinitely more than we ever will. Thankfully, our God is many times smarter and more knowledgeable than we are. He sees the whole picture while we often are left to wonder why he did this or allowed that. Often, we sinfully doubt God or question his will. We get frustrated and demand to know why he is doing what he is doing. As Christians we do well to simply trust him and know that his will in the end is always so much better than we could ever have thought or imagined. We will always have lots of questions in this life. We may at times wonder why God does what he does. One thing we need never question is God’s love for us. He has proved it in sending Jesus. With hearts full of love for our Savior, we trust God to continue to do what he knows to be best for us. Dear Father in heaven, I am often full of questions. Thank you for planning my salvation through Jesus. Help me to trust in you and your will and to know that your plan is always good. Amen. The people who gathered to listen to Jesus preach thought they could look around and see what good church people should look like. They were mostly the same ethnic group, came from mostly the same socio-economic class, and spoke mostly the same language. The people around them, people just like them, were the best candidates to become followers of Jesus—or so they thought. Jesus simply stunned them. He said that other sheep would be following him, and his meaning was clear. He was talking about people who were not present, especially people who did not look and sound like the crowds listening to him at that time. His words divided the people who were there. Many of them said, “He is demon-possessed and raving mad. Why listen to him?” (John 10:20). Jesus went out and did what he said he must do. He laid down his life to pay for the sins of the world, and he called his sheep, his followers, from around the world. He taught that forgiveness of sins, life, and salvation through faith in him were gifts for people of all ages, all ethnic groups, all situations in life. He declared that everyone who believes in him would join his one flock with one shepherd. Do you look different from other people following Jesus where you live? Do you struggle with the language they use to worship? Take heart! You are one of Jesus’ little lambs just like they are. You deserve to be in Jesus’ sheep pen just as much as they do—which is to say, not at all, because every member of Jesus’ flock is in it by grace. Do not rule anyone out of the sheep pen because they are from a different ethnic group, live in a different way, or speak a different language. The voice of Jesus is powerful, and he calls people from every walk of life to follow him. O Jesus Christ, the only Son of God, the heavenly Father, you did for all our sins atone, and your lost sheep you gather. O Lamb of God, to you on high from depths of woe we sinners cry. Have mercy on us, Jesus. PRAYER BEFORE WORSHIP O Lord, our Maker, Redeemer, and Comforter: We are assembled in your presence to hear your holy Word. We pray that you would open our hearts by your Holy Spirit, that through the preaching of your Word we may repent of our sins, believe in Jesus, and grow day by day in grace and holiness. Hear us for Jesus’ sake. Amen. It will bless the earth wherever it is heard. My God, help me be faithful to the Word You have given to proclaim. And the hills will break before you into song. And when your earthly journey here is done. I’ll say well done, I’ll say well done! I’ll say well done, well done! The following order may be used when someone seeks the ministry of a pastor or other fellow Christian to make personal confession. P: In the name of our God, to whom all hearts are open and from whom no secrets are hidden. Amen. and in your faithfulness, come to my relief. Answer me quickly, O Lord; my spirit fails. Do not hide your face from me, for I have put my trust in you. C: Almighty God, merciful Father, I, a troubled and repentant sinner, confess that I have sinned against you in my thoughts, my words, and my actions. I have not loved you with my whole heart; I have not loved others as I should. I am distressed by the sins that trouble me and am deeply sorry for them. P: Jesus says to his people: “If you forgive the sins of any, they are forgiven.” His death paid for the guilt of your sins and the sins of the whole world. Do you believe this? P: Because of the promise of our Savior Jesus, I forgive you all your sins. Be assured that you are a dear child of God and an heir of eternal life. C: O Lord, my God, I called to you for help, and you answered me. I thank you for the love you have shown me in Jesus Christ, my Savior. Through him you have rescued me from the guilt of my sin and given me the peace of forgiveness. Help me fight against temptation, correct whatever wrongs I can, and serve you and those around me with love and good works. In Jesus’ name, I pray. Amen. P: Go in peace. The Lord be with you. P: Eternal God and Father, we give you thanks for the blessings we share as members of your holy Church, for your gracious Word and sacraments, for opportunities to worship and to grow in faith and knowledge, for occasions to serve and be served, for fellowship with believers in our congregation and in our synod. C: Help us to rejoice in these blessings, dear Lord, and to use them faithfully. P: Jesus Christ, Lord of the Church, you give grace to your people by calling us to be your witnesses in the world. Open our eyes to see the great and noble mission that lies before us. In the hurting eyes of the lonely, in the pained eyes of the sick, and in the searching eyes of the lost, help us to see your face, O Jesus, and to serve others as we would serve you. C: Awaken us to the opportunities you give to proclaim your message of love. P: Holy Spirit, giver of life, through Word and sacrament bestow on us the wisdom and power we need to witness clearly and to act boldly. Help us to speak the truth in love, to give the reason for the hope we have, and to conduct ourselves with gentleness and respect. C: Set our hearts on fire as we work and witness for Christ. P: Hear us, Lord, as we pray for a family member, an acquaintance, a neighbor, or a friend who does not believe in you, or whose faith is weak or troubled. P: Bless the Church with men and women who are willing to proclaim your Word in places where we cannot go. Keep them and their loved ones in your care, and let nothing hinder their work. By the power of the gospel, restore their spirits each day, so that they do not lose heart as they serve us and others. C: Move us to support them with our sincere prayers and generous offerings. P: Wherever your Word is proclaimed, O Lord, grant it success. Let your kingdom come to us and others, so that we and many more might join the assembly of saints and angels to sing your praise forever. C: Savior of all, hear our prayer and help us in our mission. Amen. 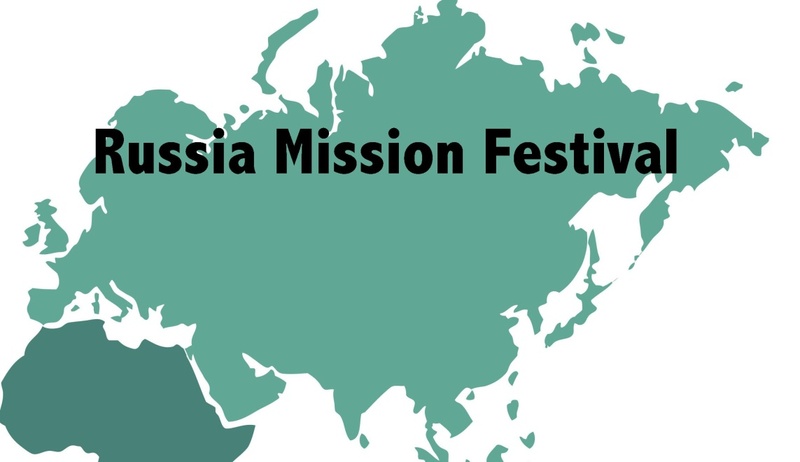 TODAY A FREEWILL OFFERING FOR RUSSIA IS BEING TAKEN AT BOTH CHURCHES Your prayers and monetary support for missions are greatly appreciated! ST. JOHN’S SCHOOL OPEN HOUSE St. John’s School will have an Open House this Wednesday, August 29th, from 4:00-6:00pm. The students and families can come in, meet their teachers, check out their classrooms and bring/leave any school supplies needed for school. See you then! VOLUNTEERS NEEDED! Do you love to sing? Do you enjoy music? Do you love to praise the Lord? Are you looking for an excuse to get out of the house? Would you like to come and hang out with a bunch of great people? If you answered yes to any of these questions, please come and give choir a try. We meet on Monday nights from 6:30 – 7:30 p.m. Our first practice for the fall season will be Sept. 10. We would love to see you. If you have any questions, please contact Karin Stellick, 920-342-3689. LITTLE LAMBS There are still openings for Little Lambs for the 2018-2019 school year! Call Sara Borck (858) 731-7919 or the office (608) 297-2866 to reserve your spot today!! 2) Sun Shine Position : Based on weekly emails from Pastor Zietlow, this individual will manage the mailing of get-well, sympathy cards, etc. to church members and their families. CHRISTIAN ONE-LINERS (from a WELS pastor): “Don’t let your worries get the best of you; Remember: Moses started out as a basket case”.